Everyday innocent children who are victims of abuse and neglect become dependents of the court. This means that a judge will now decide their future. Will they be returned home, adopted, placed with relatives or remain in foster care? What is truly in their best interest? A CASA volunteer becomes the eyes and ears for the court, and someone the child can trust to speak for them. CASA is a national association with a network of 946 programs that are recruiting, training and supporting volunteers to represent the best interests of abused and neglected children in the courtroom and other settings. In the state of California, CASA volunteers are advocating for 8,000 abused and neglected children. 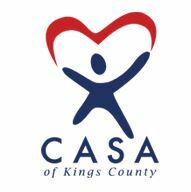 Although CASA has been helping children since 1977, CASA of Kings County began in 2011. Our community alone has over 600 abused and neglected children in the foster care system who would benefit greatly from having a CASA as their advocate. Studies have shown that foster children who had a CASA are more likely to receive needed services, more likely to be adopted, and half as likely to re-enter the foster care system.